Labor Day is a holiday tradition celebrating the great efforts of American workers and their contribution to society both economically and socially. Traditionally celebrated on the first Monday of September, the day is symbolic to rest, play and enjoy the people around you. Weather permitting, a last summer visit to the beach, a family barbecue or a pool party is commonly the events you see being used to observe Labor Day usually planned to also say good bye to the warmer days of the year. For those of you anticipating on hosting a feast to accompany your special soiree, you’re going to want to incorporate the characteristics associated with this holiday within your food selection. Menus should coordinate well with the feel of the get together so the cuisine should be brightly colored, veggie based and prepared predominantly in the outdoors. These might seem to be sticky guidelines for the struggling chef but I can assure you there are a few recipes perfectly suitable for your Labor Day fete! These are the hottest recipes for 2015’s end of the year celebration. You’ll need a bag of small wax potatoes (either red or white your choice) and clean well to remove any dirt on the skin. Boil the potatoes in a pot of water with salt and a tablespoon of olive oil. Once cooked, rinse in a colander with cool water and set aside. In a skillet, heat a tablespoon of olive oil and add one medium sized onion finely chopped and sauté until softened. Place the cool potatoes and onions in a large mixing bowl and then add finely diced scallions, one tablespoon of vinegar and three sprigs of dill mashed well. Stir together until all of the ingredients have combined and season with salt and pepper to taste. Place the dish in the refrigerator until serving time and watch your guest go wild for the beautiful tasty sensation! This is a great recipe I found that the kids have a great time preparing and eating! The combination of a hotdog and hamburger (really, what’s not to love?) becomes a fun grilling treat, which is a perfect main dish accompanied with chips and potato salad. All you have to do is make a regular hamburger patty with lean meat and form into a tube. Wrap plastic around the beef and work with reshaping until you are confident the form has been set. Unwrap the hamburger dogs and grill on medium heat until cooked through. Add a slice of Swiss or cheddar cheese and continue to cook until the topping has melted. Place the dogs in a long bun that has been seasoned with a light spread of mayonnaise. Right before serving, give it a thick swipe of ketchup on top to finish the decadent masterpiece! Hot Flower Fads for September! 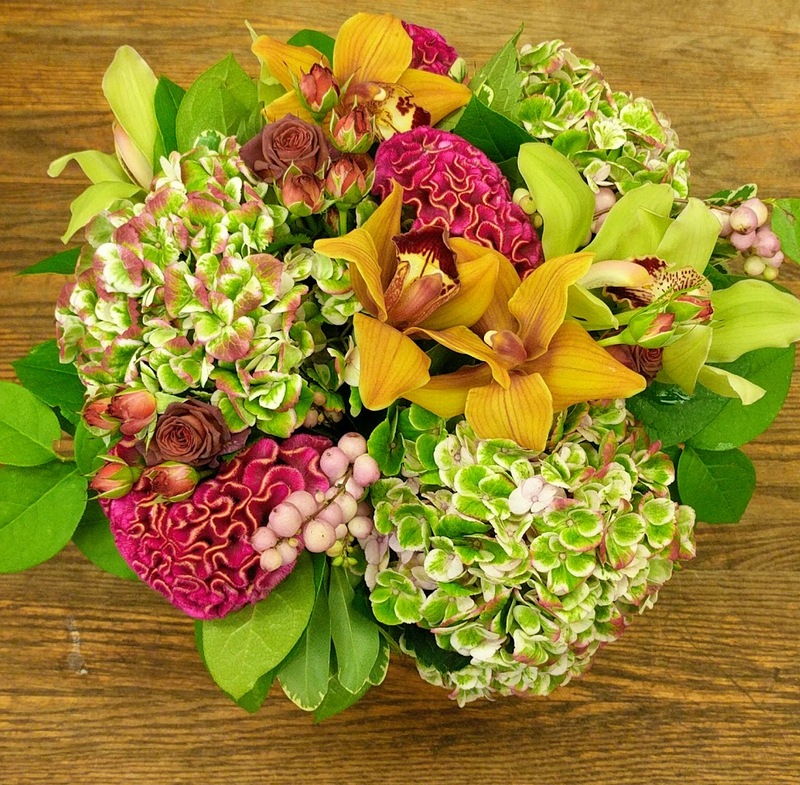 The summer is gone but not forgotten for Boston florists trying their best to impress their customers with a new fall line! Designers are bustling behind their workbenches constructing cool and crisp floral products that will reflect the fresh start of a beautiful New England autumn. 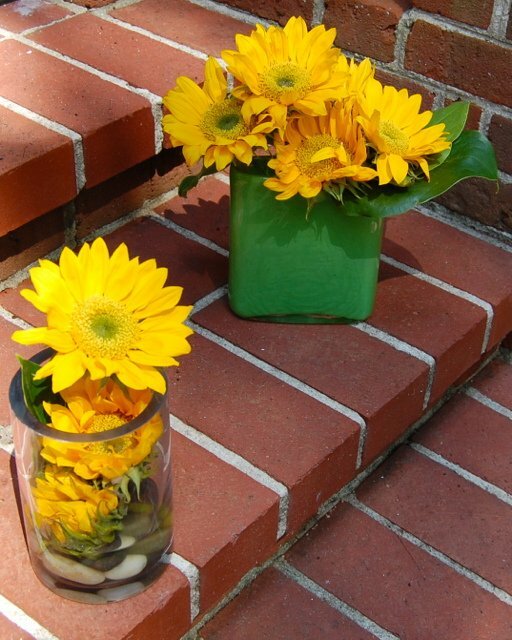 In the past, popular styles incorporated bright yellows mixed with burnt reds typically found in roses and freesia but this time around, there’s a whole different approach for centerpieces and vase display. 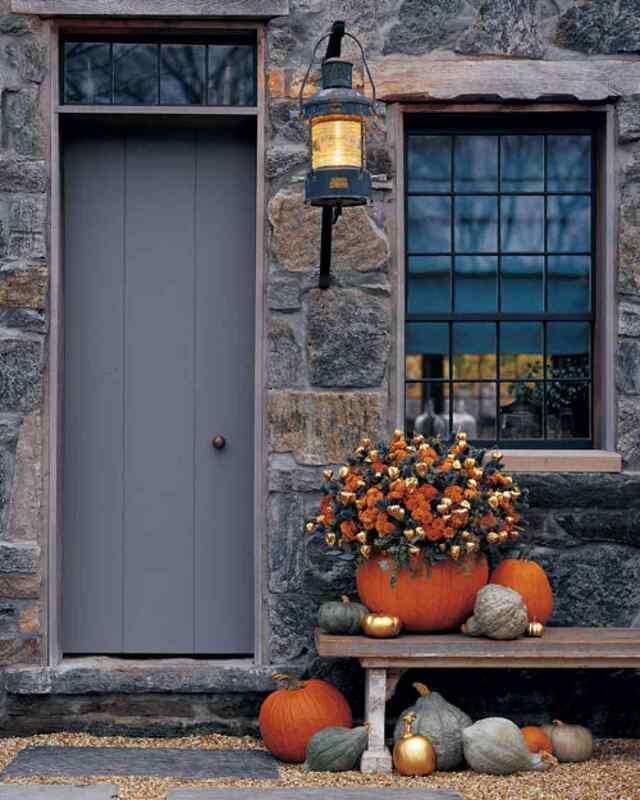 If you like romantic fall colors integrated with a cozy “home” feel, you’re in luck because that’s just where the trend is traveling! Color palettes, texture, size and height are being brilliantly engineered to match the essence of the season, which generally is defined by a warm and friendly feel. After all, it won’t be long before we are all hunkered down once again for the east coast winter weather. So here’s our last hooray for an outdoorsy and cool style just right for a September in Boston. 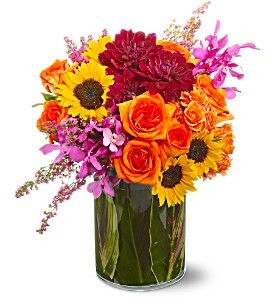 Red sunflowers are not only glamorous but they are also rich in color which means they can be combined with several different varieties of flowers including gerbera daisies, mums and particularly roses. My taste is tints that easily blend and don’t force a hard contrast visually. There’s nothing worse than a flat red up against a bold yellow or blue. 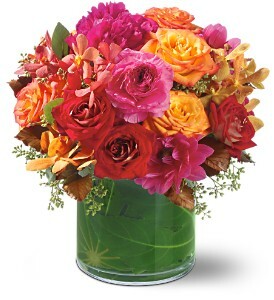 Variegated orange garden roses are stunning within this style as well as hypericum berries, hay and green amaranthus. One word to the wise, stay away from “propped up” pieces that can look cheap and junky like added fake fruit or stuffed scarecrows. 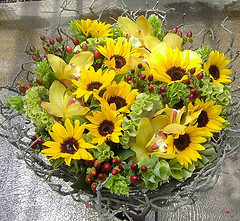 A simple presentation with these flowers is all you’ll need to impress! 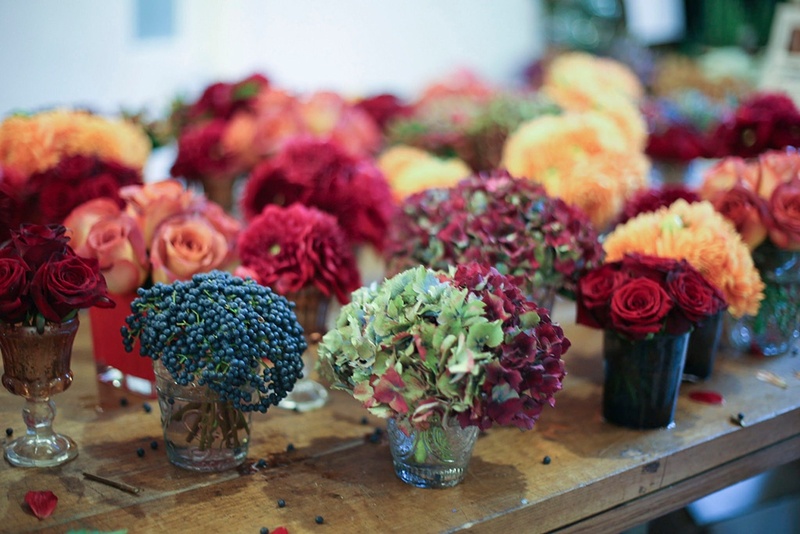 Dahlias are another flower that trickles over to fall from summer and boy, are they fabulous in centerpieces! 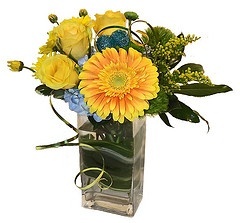 Bright and cheery yet country themed as well, these beauties look great with just about any pairing, especially black or green calla lilies. Ask for these in bubble bowls or fill your own antique jars and vases to create a lacy feel for a luncheon or evening dinner party. Wedding planners also utilized dahlias in table centerpieces as well as boutonnières and bouquets. 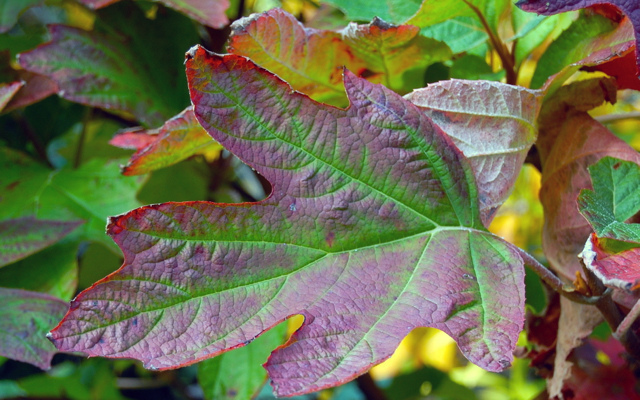 They look perfect in pictures and surprisingly have an extensive longevity.